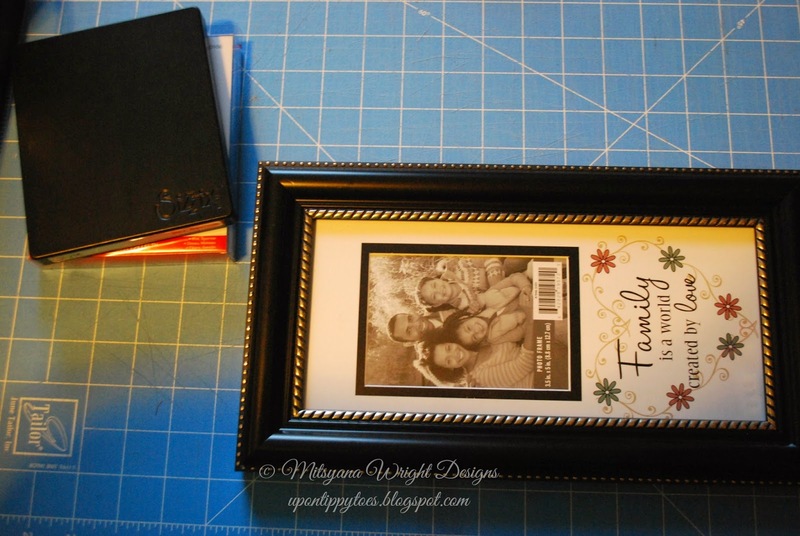 This is such a creative and lovely piece of Home Decor! 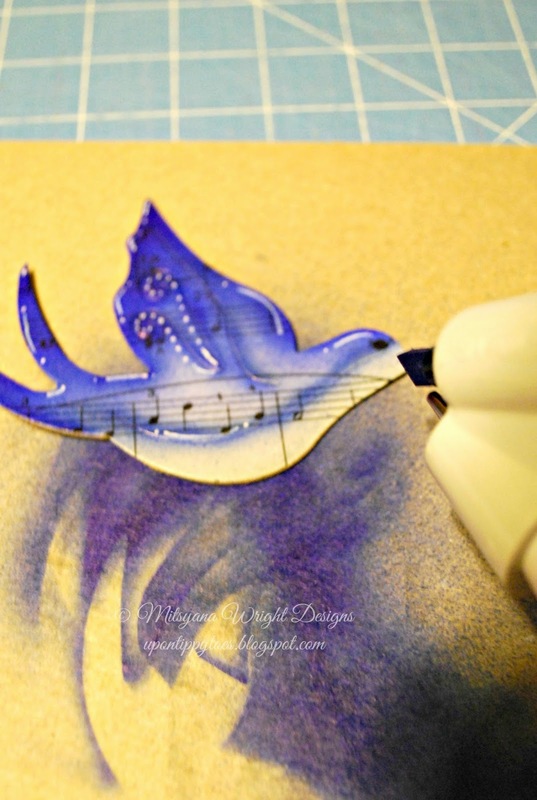 I love the music notes on the sweet bird! I would love this in my home! Way to go Mitsyana! 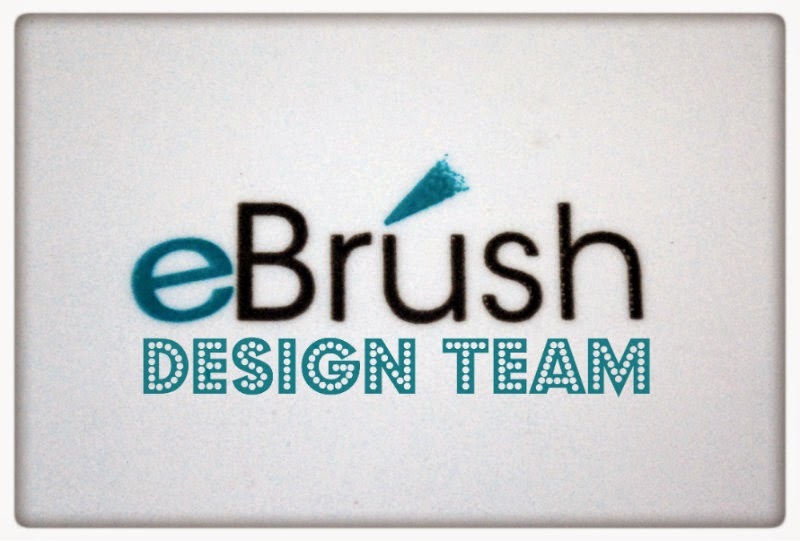 Hello Crafty Friends... I'm back again with some winter home decor made using my eBrush. 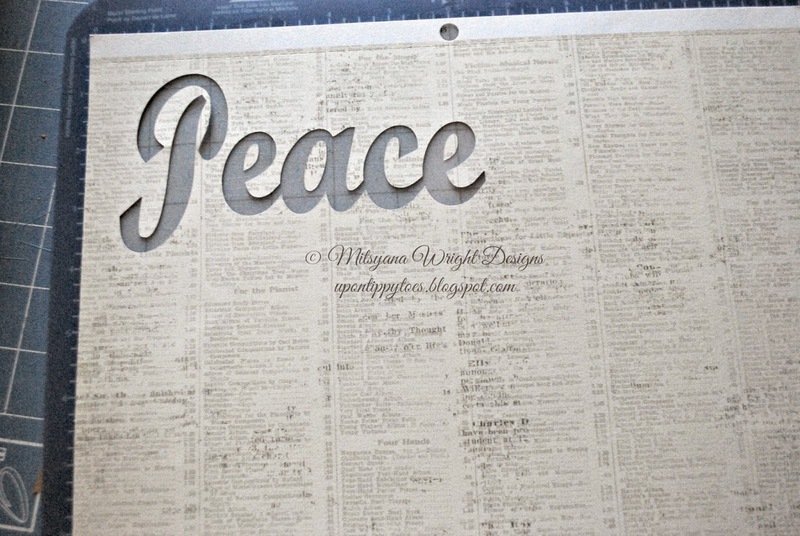 I chose to incorporate the word "Peace" into my decor because who couldn't use a little more peace in their life? I first started by taking the mat that came with my frame out. I then used it as a template. 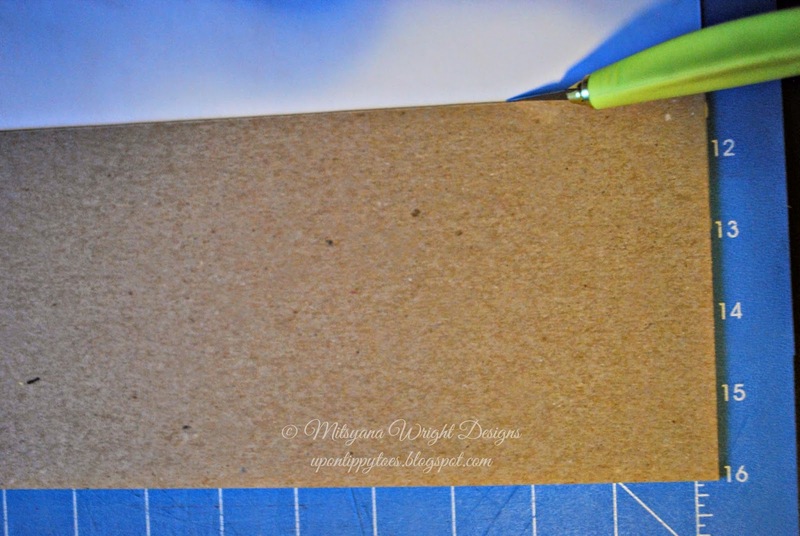 I layed it on my chipboard and used a craft knife to make a shape of the exact shape and size to fit my frame. 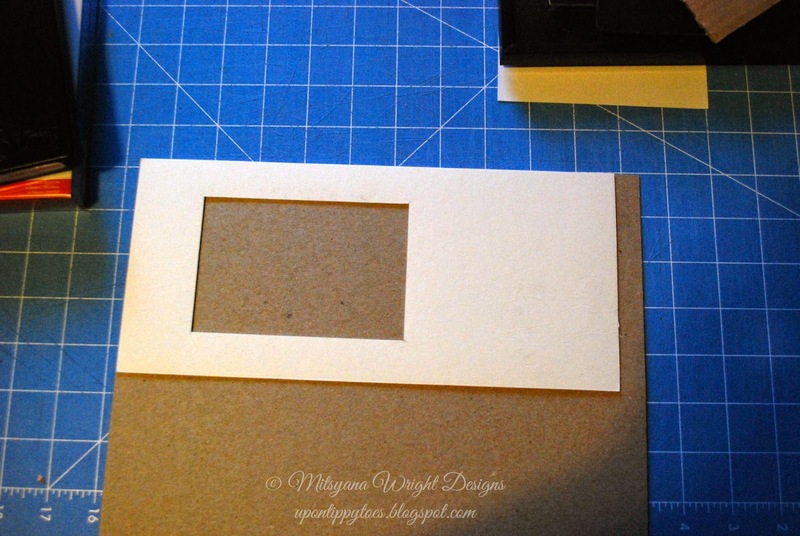 I then adhered my patterned paper to the chip board and again trimmed with with my craft knife. I prepared this as my background and set aside. Next I cut my bird. 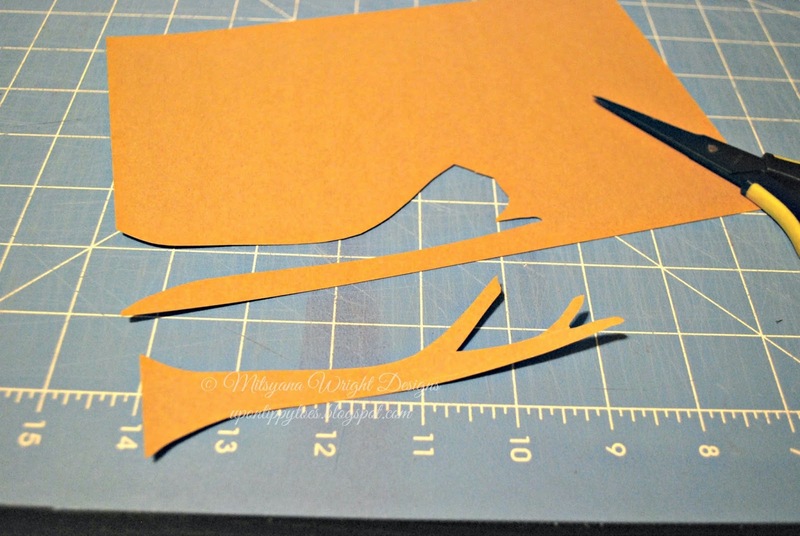 For this songbird I used a Sizzix sparrow die and cut out 2 birds, one from a song sheet paper and the other from chipboard. I layered the two and glued together. Then with my Ebrush I airbrushed the bird using the SN adapter head with Spectrum Noir markers in IG2, IG3,TB2, and TB5. Then I drew highlights using my white gel pen. I freehand cut out a branch from craft paper and then ebrushed it using Spectrum Noir markers in TN7 and TN8. 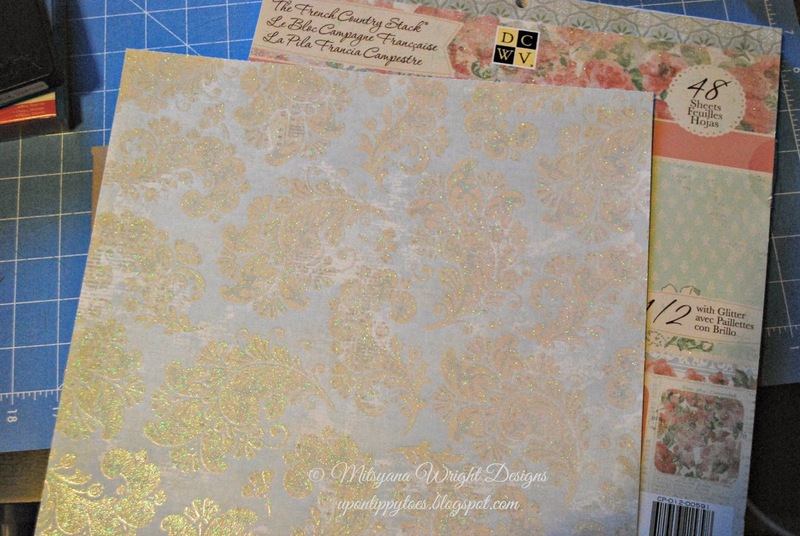 Then I embossed the branch using my Teressa Collins Woodgrain Cottage embossing folder. I also added crystal stickles over brushed on gesso for snow. 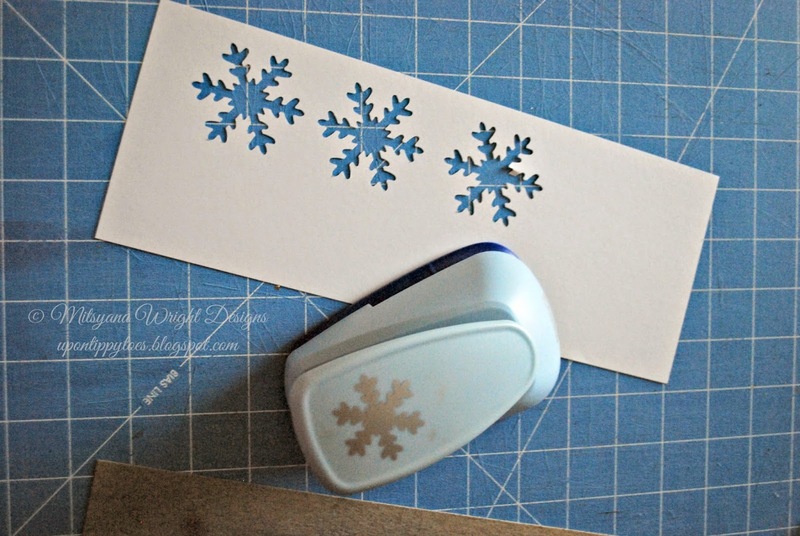 I cut out 3 snowflakes using my Marvy Uchida jumbo snowflake punch and highlighted them using my Spectrum Noir marker in TB2. Using my electric die cut machine I used the free font Buffalo Nickel to cut the word peace out of printed card stock. I then ebrushed it using my Spectrum Noir markers in TB2 and TB5. I also made a shadow for my word it using a charcoal gray paper and adhered both word and shadow together. 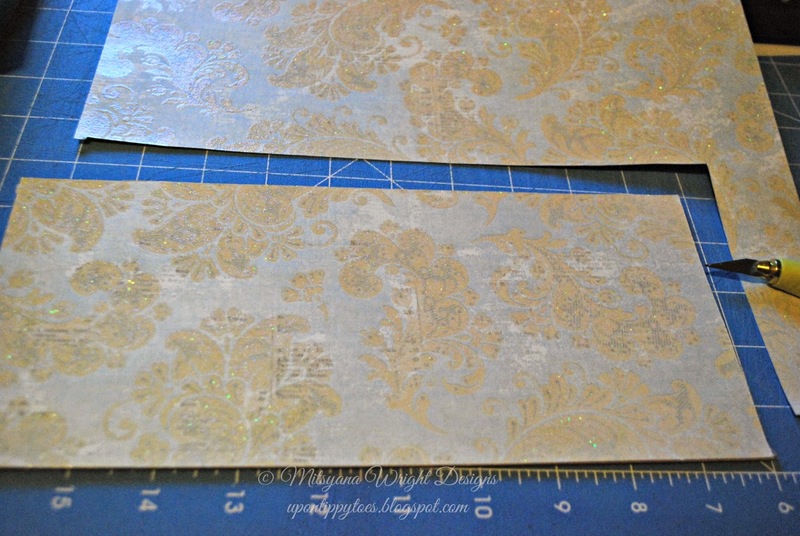 Then I glued all my individual pieces onto my prepared chipboard background from earlier. 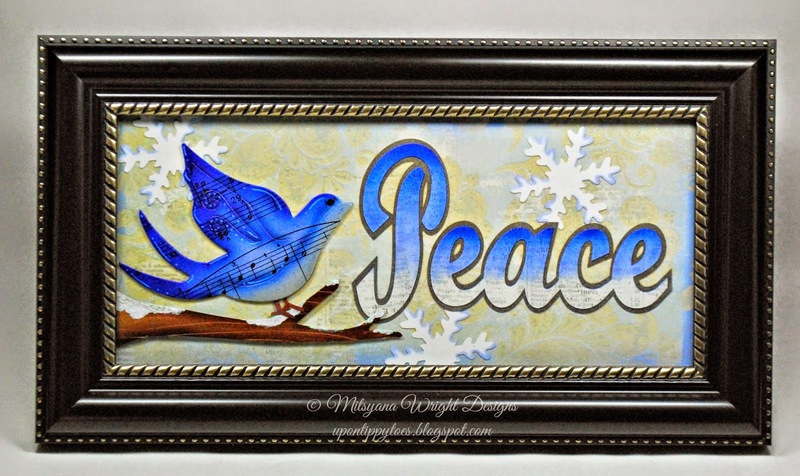 And, here's wishing you "Peace" for this holiday season! !